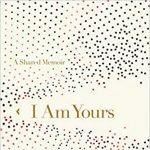 Reema Zaman will join us to read from and sign her new book, I Am Yours: A Shared Memoir. It is time. It is time to free our voice. To speak is a revolution. For too long, through the most intimate acts of erasure, women have been silenced. Now, women everywhere are breaking through the limits placed on us by family, society, and tradition. To find our voices. To make space for ourselves in this world. Now is the moment to reclaim what was once lost, stolen, forsaken, or abandoned. I Am Yours is about my fight to protect and free my voice from those who have sought to silence me, for the sake of creating a world where all voices are welcome and respected. Because the voice, without intimacy, will atrophy. We’re in this together. You are mine, and I am yours.